Who doesn’t love a classic children’s fairy tale? After all, stories about magical and imaginary beings and lands can instantly transport old and young alike. Habitat for Humanity and Downtown West Palm Beach agree; they have adopted the theme as part of the 2018 Summer in Paradise (S.I.P) series, magically transforming the Waterfront at Clematis Street in the process. S.I.P. is an annual summertime series of free events and happenings for families around the Northwest Neighborhood, Northwood Village and Downtown West Palm Beach. Fairy Tale Playhouses, part of this year’s fun, pairs local artists with nonprofits to raise awareness of affordable housing. The fifteen artists were tasked with interpreting classic fairy tales from around the globe for their playhouses. On display through July 26, the Fairy Tale Playhouses invite children to explore and play in a magical setting along the West Palm Beach waterfront. The really exciting thing though? You can own one - just get yourself down there on July 26 when they are all auctioned off to benefit the 15 nonprofit organizations. Our chosen 2018 charity, Adopt-A-Family of the Palm Beaches, was paired with local artist Freddy Hennevelt Art, to showcase Hans Christian Andersen’s “The Ugly Duckling.” You can view more photos of his fantastic creation here. Adopt-A-Family serves Palm Beach County’s at-risk families with children by providing them a full range of services to “achieve stability and self-sufficiency.” Their goal is to be “a leader in helping families help themselves,” according to their website. 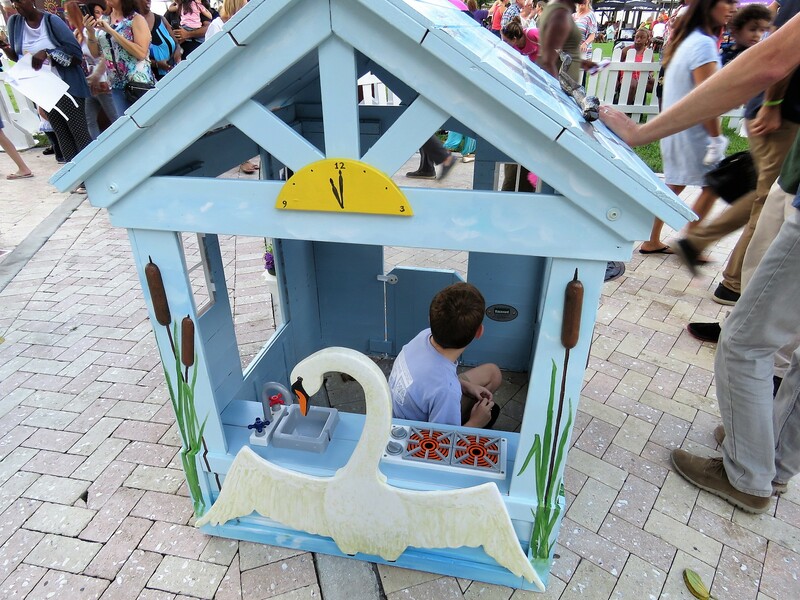 If you are inspired by the story of the ugly duckling who magically transforms into a beautiful swan, be there to bid on this playhouse, a true work of art. You will help out a great organization at the same time.